The new anti-bullying regime introduced by the former Labor government in June 2013 will commence operating on 1 January 2014, when the Fair Work Commission will be empowered to deal with applications from workers who believe they have been bullied at work. New provisions of the Fair Work Act 2009 (the Act) will allow a worker who reasonably believes he or she has been bullied at work to apply to the FWC for an order to stop the bullying. The definition excludes reasonable management action carried out in a reasonable manner. 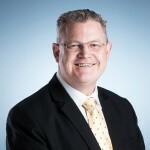 While there is bipartisan support for the new provisions – the Abbott Government has promised not to repeal them – there is concern about how the laws will operate and what effect they will have employer – employee relations, particularly as a great many applications are expected when the new jurisdiction commences. – any other matters the FWC considers relevant. a draft anti-bullying benchbook to provide guidance to the public about the operation of the new laws and including examples of what is and what is not bullying. In addition, the FWC has appointed Commissioner Hampton to lead the anti-bullying panel. Although the Act does not specify what it means to “deal with” an application, the FWC’s case management model suggests that this expression includes contacting the applicant to confirm the applicant’s intention to proceed, serving the application on the employer and the individuals whose alleged conduct prompted the application, and giving these parties an opportunity to respond to the claim. The information gathered at this preliminary stage will enable the FWC to make a decision about how the matter should be addressed, either by referring the matter to voluntary mediation or a hearing conducted by a member of the FWC, who may decide to dismiss the application for want of jurisdiction (that is, because the applicant is not being bullied as that term is defined) or make orders to prevent the bullying. The jurisdiction is interesting because, unlike most matters the FWC deals with, bullying applications will most likely involve three parties: the applicant worker, the individual or individuals alleged to be engaged in bullying (who may or may not be the applicant’s co-workers) and the worker’s employer. Given this, orders may be directed to the employer of the applicant as well as the alleged bully and / or co-workers. support and training, or review of an employer’s workplace bullying policy. Breach of an order will attract a civil penalty. While the FWC will attempt to conduct its new jurisdiction with the minimum of formality, the nature of bullying claims necessarily means that bullying proceedings will be complicated and time consuming. We also note that there is nothing in the Act expressly discouraging multiple applications from the same worker. FWC members have been engaging in on-going training to understand the nature, scope and implications of the anti-bullying jurisdiction. The training covers, amongst other things, theory and practice in the identification, prevention and management of workplace bullying. It is important that employers undertake similar training in how to identify and manage workplace bullying. In February 2014, Thomsons Lawyers will be running a lunch time seminar on workplace bullying presented by a Commissioner from the Fair Work Commission. We will confirm the details in the new year, but in the meantime urge all employers to consider reviewing policies and processes so as to identify, respond to and hopefully eradicate workplace bullying. If you have any questions about the new laws please give us a call.